A silicon valley concern that focuses on start-ups has released a preview of the ROSS system that stands to change the shape of the legal industry. 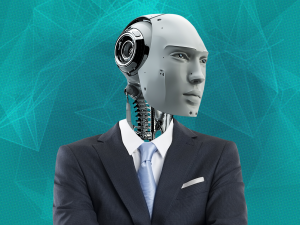 ROSS is billed as the first artificially intelligent lawyer. It is paired with IBM’s powerful Watson processor and allows not just for database research on legal issues, but the formulation of tactics and related supporting documentation. While the legal industry has long made use of digital resources, this stands to have the same impact on the profession as the EHR has had on healthcare. ROSS is already functioning at a stage where early adopters in the industry are putting it to use. That can mean a serious boost in alleviating time constraints in preparing cases. Early adopters can utilize the processing power of Watson to identity more relevant case material faster than is available with any other system. Given ROSS’s claimed ability to draw inferences and conclusions, it could also present a challenge to other attorneys by delivering the advantage of accessing precedents that otherwise could not be found without months of continuances and research. How far along is ROSS really? That all sounds daunting but the reality is that ROSS is little more than a shell at the moment. The power of ROSS is dependent on the maturity of its artificial intelligence (AI). To reach maturity ROSS must interact with different kinds of lawyers- personal injury attorneys to a consumer protection attorney, in order to begin to build a logical system of reference. How good ROSS becomes is going to depend on this vital training period. How much time effective lawyers have to give training an AI program is limited and it may only proceed with the help of researchers and law students. It is not at the point yet where you will be facing a ROSS assisted lawyer in court. What does this mean for the future of practice? While it may be a while before your opponent is seated at a table and accompanied by a ROSS enabled system, this does herald a change coming to practice. In the same way that EHR signaled a massive industry change in healthcare, ROSS could bring about the same forced move into the digital age. As it is powered by Watson, it won’t face the sheer manpower requirements that the EHR transition had to incorporate. This means it could then become a reality in the legal field much sooner than the roll out of EHR happened on for medical and healthcare providers. ROSS has been described as the Lexis system on steroids, but it is much more than that. Lexis can only return findings driven by its human search operator. ROSS is growing the ability to conduct its own search directions. You could potentially enter a jurisdiction and charge, along with case documentation, and ROSS would then construct the entire approach. While some tech industry analysts are heralding it as the replacement for a flesh and blood lawyer, there are still too many nuances for it to handle to suggest that you will be facing off against an artificially intelligent lawyer in court. What the ROSS announcement does suggest is that the law sphere is moving officially into the digital age. This goes beyond the use of Lexis to the integration of databases and electronic services into practice. Issues of accountability, reliability and human error in the construction of the AI abound, but EHR has demonstrated that with backup verification settings that they can be overcome. IT is highly recommended that practices begin to incorporate more wired processes than ever before in order to train a new generation of lawyers to be able to incorporate ROSS into their case preparation more effectively.